The Queensland University of Technology (QUT) has ranked first in Australia and 24th globally for communication and media studies in the latest QS World University Rankings. Released in March 2017, the annual world rankings also rated the Brisbane-based university first in Queensland and sixth in Australia for art and design studies. More than 900 universities from over 80 countries were assessed by QS World University Rankings for research, teaching, employability and internationalisation. Head of QUT’s School of Communication, Associate Professor Patrik Wikstrom, said that the world rankings show the depth of teaching and the strong culture of excellence within QUT. “The excellent ranking results reflect a sustained effort by QUT to be a world leader in communication and media studies through an investment in high quality teaching and research,” Associate Professor Wikstrom said. QUT Creative Industries is made up of the School of Communication, School of Design and School of Creative Practice. In 2016 the university expanded its Kelvin Grove campus with an $88 million dollar creative studio facility, becoming one of the most sophisticated and high-tech creative education spaces in Australia. 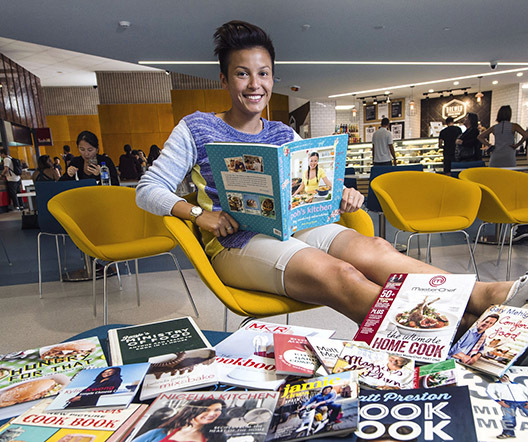 Chinese graduate Li Li completed a Bachelor of Media and Communication at QUT in 2015. She said that the degree provided her skills and knowledge of the media industry, helping her to build her portfolio and find a job in Brisbane. Ms Li said she has gained valuable and practical experiences by participating in projects and study tours. “Those skills are all essential and practical within the work place, which are exactly what employers need from the employees nowadays,” Ms Li said. QUT Creative Industries Faculty’s research outcomes are driven by its Digital Media Research Centre (DMRC), Design Lab and Creative Lab. The DMRC’s research agenda is organised around journalism, public communication and democracy; digital media industries and everyday life; and developing new digital methods. Current PhD Candidate Katherine Kirkwood said studying at QUT has been a rewarding experience. The Higher Education Academy Associate Fellow’s research project looks at the intersection of popular culture and food culture, illustrating how and why our attitudes and lived experiences around food are changing. Ms Kirkwood said the culture among research students and faculty staff at QUT has been supportive and encouraging. “As a research student, I enjoy the opportunity to teach undergraduate students and provide the kinds of positive learning experiences I had as an undergraduate,” Ms Kirkwood said. “Being at QUT has also given me access to specialist programs to assist in developing my teaching skills so that when I graduate I am a well-rounded academic,” she said. Visit the QUT creative, design and performance courses page for more information about studying at QUT Creative Industries. PhD Candidate Katherine Kirkwood has benefited from QUT's world-class teaching and research in communications and media.